Most students enrolled in a program with an economic nature are interested in investing. Some students even start investing during their studies. What would it be like to invest €1,4 billion? How do you decide if a company is a good investment based on trends? 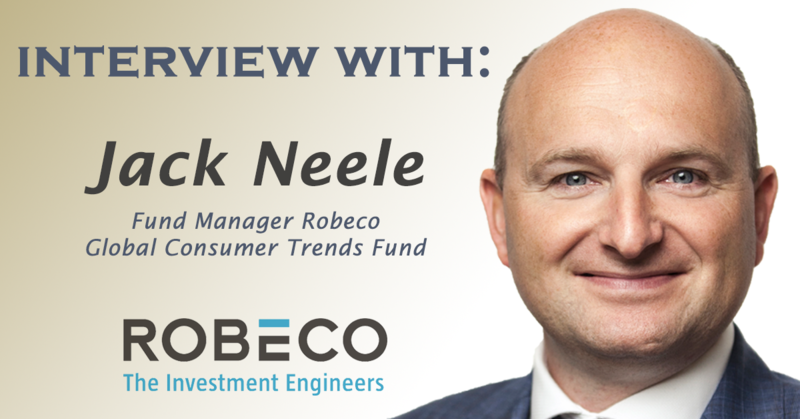 We talk to Jack Neele, fund manager at Robeco. Can you tell us something about yourself and your career? After high school, I started studying econometrics, because I was interested in both economics and mathematics. During this education I got really interested in investing and was privately trading stocks, sometimes speculating in options too. I was a good student, going to most lectures. Nevertheless, I took 5,5 years to finish all my studies. Since I gained a lot of knowledge about financial markets during my studies, I tried to make my hobby my profession after graduating. In 1999 I started at the General Bank on the asset management department, and in 2006 I made the transfer to Robeco. At the moment, I am working as a fund manager of the Robeco Global Consumer Trends Fund. I succeeded to make my hobby my profession and the work remains very interesting and varied! 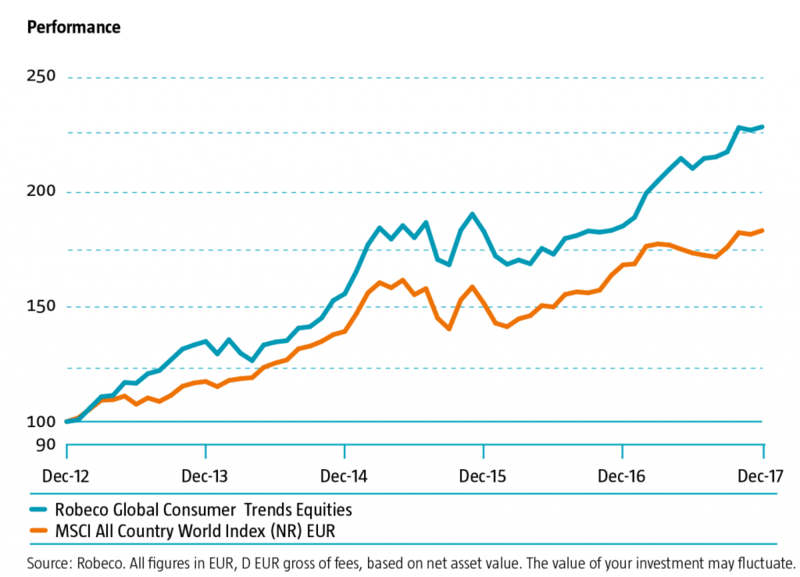 What does being the fund manager of the Robeco Global Consumer Trends Fund entail? As fund manger you take all the buy and sell decisions within the fund. Within the fund we look at long term trends in consumer spending. At the moment we see a couple trends developing, from which we can expect a lot the coming years. First of all, digitalization. Consumers nowadays spend an increasing amount of their time online, for example, for e-commerce, digital payments, social media or streaming movies, series and music. In addition, we observe growth opportunities in computer games and augmented & virtual reality. Second of all, the growth of consumer spending in emerging markets like China and India. We expect above average growth in those markets, which results generally in interesting investing opportunities. Finally, we are charmed by the strong appeal of powerful brands on consumers. Strong brands have the advantage that consumers are generally loyal, which allows them to charge a premium for their products compared to the competition. This results in higher profitability for these types of companies. The buy and sell decisions we make are based on profitability, growth expectations and the position in the market. Changes in these factors are particularly interesting to monitor. For instance, consumers nowadays are more interested in healthy/organic products with natural ingredients, and willing to pay more for them. To analyze the market, we use a lot of different information sources, including the Bloomberg terminal for financial information about companies and stock rates. In addition, we analyze information from external parties like Morgan Stanley, Goldman Sachs & Credit Suisse. We also follow trends on Twitter. Every now and then we invite trendwatchers or people from the business world to hear their vision on the future. In conclusion, we are frequently in contact with the management of companies we have invested in, naturally we gather a lot of information there too. The most fun part of the job is the variety. Long term trends like digitalization and mobile internet are certainly interesting, but you also keep your eye on the trends in the automotive industry (more electric cars, self-driving technology and innovative business models like Uber) and social media. Also a lot of fun; this month (March) you can find me in the center of the tech-world, Silicon Valley. I am a growth investor, which means I target companies which are expected to show growing increasing revenues and profits the next 3-5 years (minimally). 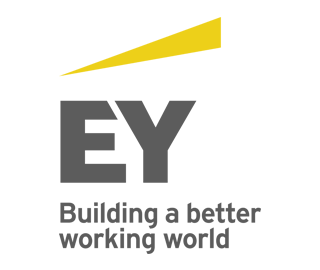 Preferably these are companies which are relatively independent of the economic cycle, since they find themselves in the middle of a long-term trend. In addition, I have a strong preference for what I call ‘structural winners’. These are companies that have a high market share because they positively differentiate themselves from the competition. This can happen by means of a strong brand, a scale advantage, or because of a higher product quality. These types of firms often target one product or service and try to provide the best to their customers. Think of firms like Nestle (food), Nike (sports) or Apple (smartphones). Therefore, I do not invest in conglomerates, or companies with multiple, incoherent branches. How does the fund perform? The long-term goal of the fund is to outperform the stock index annually by an average of 4%. We succeeded the past 1, 3, 5, and 10 years, which I am very proud of. Our growth strategy with a focus on structural winners has proved itself to be very successful. Finally, since a couple of years, we have started considering sustainability and corporate social responsibility as important indicators in the investing process. The year 2017 was extremely successful, partly because of the great performance of large internet platforms (Google, Facebook, Amazon, Netflix) and the recovery of stocks in emerging markets. The lowest point of the fund was in 2008, when it lost about 40% of it’s total value as a consequence of the financial crisis. I lost some nights of sleep during those days, naturally it is very disappointing when clients lose a large portion of their savings which they entrusted to you. Luckily, that loss was recovered halfway through 2010, and business has been exceptionally well since then. What would you advise students? Try to make a career out of what you like to do. You will devote a lot of time to your future job and dedicating it to something you like doing makes it a lot easier! In addition, personal development is very important. I was lucky enough to attend the “Building and Sustaining Competitive Advantage” course at Harvard Business School, which taught me important lessons that I was able to apply in the selection of stock in the fund. As a starting investor I was fascinated by the most successful investors in history, mostly because of the way the achieved their success. A couple of investors who have been very important for me are T. Rowe Price (first investor with a growth strategy), Warren Buffet and Philip Fisher (Good book: Common Stocks, Uncommon Profits). I mostly payed attention to the way they assessed companies and I interpreted their most valuable lessons, processing them into my own style. That’s where my preference for stable (anti-cycle) growth stocks with increasing revenues and profits and a sustainable competitive advantage. One of my favorite quotes is by Warren Buffet: “I try to buy businesses that are so wonderful that an idiot can run them. Because sooner or later, one will”. In February the FinanceDay took place, an event where students get acquainted with the world of finance by making challenging cases for diverse companies. In this article Luc van den Hurk reflects on the event. In this article Arend Groot Bleumink, Payment Integration Manager, tells all about cryptocurrency project Verge and his role within the company.